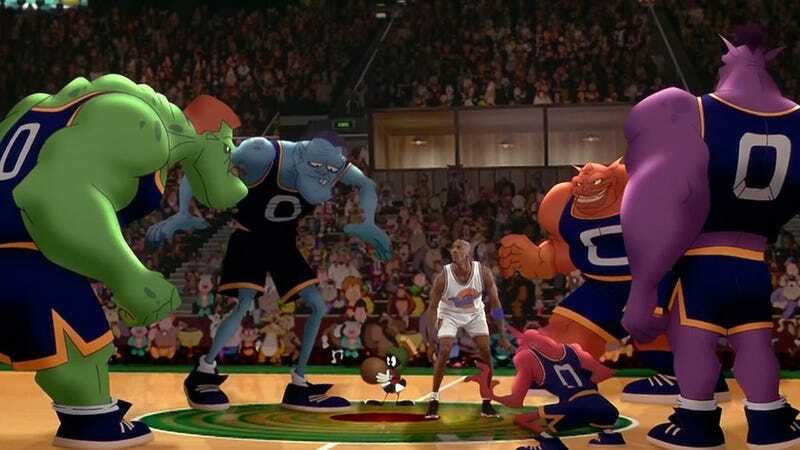 A still from 1996's Space Jam starring Michael Jordan. Lebron James will star in the sequel. Image: Warner Bros. Jokes and rumors about a Space Jam 2 starring Lebron James have been around for a long time. There were even points where it almost became a real thing. But now, we swear, it’s closer to real than ever—because director Justin Lin is even in talks to direct. According to The Hollywood Reporter, Lin (who directed Fast and Furious 3-6 and is doing Star Trek Beyond) is in early talks to direct the sequel, which would feature James in an animated/live-action family tale with the Looney Tunes characters. His partner Andrew Dodge will write the script. The project is in its earliest stages but it’s something James, and fans, have wanted for a long long time. Last year he appeared in Amy Schumer’s Trainwreck as himself and was kind of amazing. If he can bring that charm to Space Jam, it’s got a shot of being as revered as the 1996 original starring Michael Jordan. That movie holds a special place in fans’ hearts but is not something holds up to well when you watch it again. Lin will have to make a movie that builds off our nostalgia for the original, not the film itself.